Want to Start Training in BJJ? The ultimate self defence system for anyone – big, small, old, young, male or female! We can help you take the first step with our special beginners group! Lets Do It! Sign Me Up Now! Our beginners group is specially designed to get you on the mat and give you a head start to consolidate all the basic movements and positions so you aren’t starting training constantly confused. We make it easy every step of the way! Be Quick Next Group Starts Monday 7th January – Booking Required! This is a great opportunity to get the best start possible for your Jiu-Jitsu Journey – Don’t miss out! Click To Secure A Place! Why join our beginners program? Why wait? Let’s do this! Book your place now to get the best possible start to your BJJ training! The short story – Why you should join this group! Learn and practise material specifically tailored to beginners including – terminology, warm up movements, important positions, fundamental techniques and more! 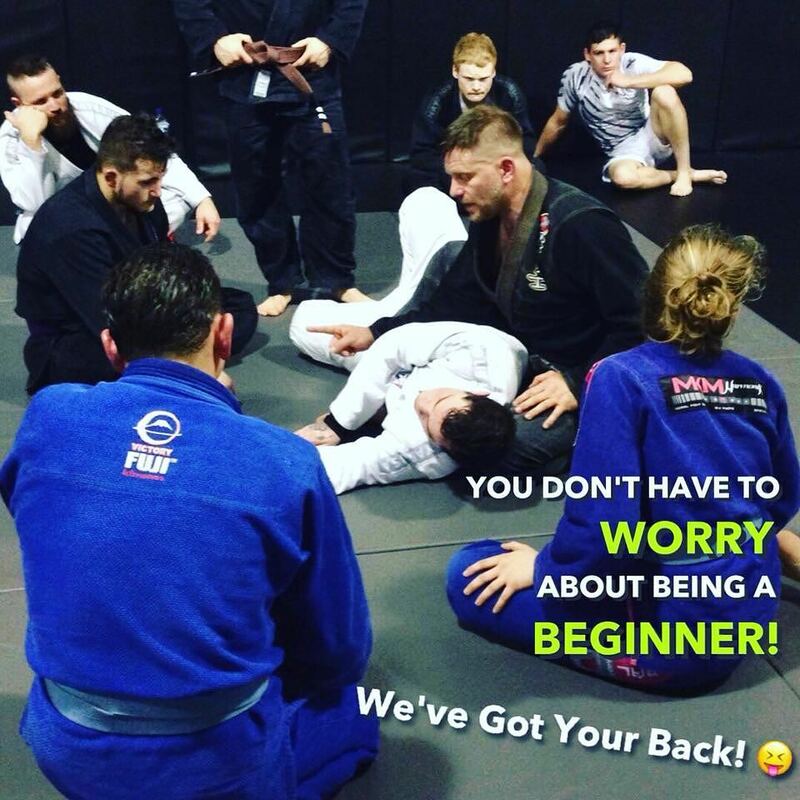 Train with people who are new to Jiu-Jitsu just like you, share your journey with a group all starting at the same level, don’t worry about being left behind! I'm Ready Lets Do This Now!